For more on the life of Sajjad Durrani see IEEE Oral History with Sajjad Durrani. I worked on space-related projects for most of my career, but would like to start with some background. Accordingly, this write-up consists of four parts: a brief career history; general remarks about space projects; early education and formative years; and studies leading to the first engineering degree. Subsequent postings will discuss some satellite communications projects that may be of broad interest. In 1959 I got an Assistantship at the University of New Mexico (UNM), Albuquerque, where I studied for a doctorate. There was not much emphasis on power at UNM, so I changed my field to antennas and communications. After completing my doctorate in 1962, I worked with GE’s Communications Division in Lynchburg, Virginia for a little over two years. I then again taught for a year (1964-65) in Pakistan, as EE Department Chair in the old Engineering College, which was now a full-fledged university. This was followed by another year (1965-66) teaching and doing research at Kansas State University (KSU) in Manhattan, Kansas. I continued to teach as an Adjunct Professor in the University of Maryland, the University of Maryland University College, and George Washington University for many years, from the early 1970s to the early 2000s. At UNM and GE, I worked on propagation issues, and at KSU I supervised a research study on back-scatter from a rough surface. 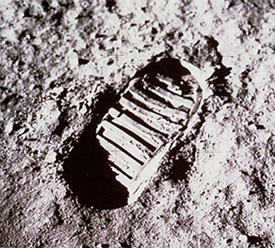 This study was part of an overall NASA program (conducted by several research teams) to determine terrain properties through remote sensing, in anticipation of the Apollo moon landing. In our case, the idea was to determine surface roughness and sub-surface moisture content by examining a soil’s refractive properties. Involvement in this study resulted in my long-lasting interest in space-related topics. Starting in 1966, I worked in the field of satellite communications (or satcom) till 1998. 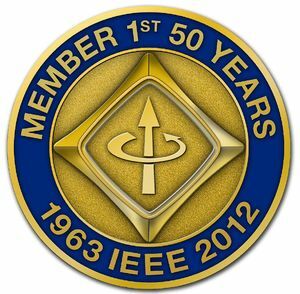 As a hobby during this period, I was active in the IEEE at the Section, Society, and national (or trans-national) levels, and in its Technology Policy Committees. The Policy Committees were run by a subsidiary, which went though several incarnations as IEEE-USAC, IEEE-USAB, and IEEE-USA. I thoroughly enjoyed both the work and the hobby, and all 32 years seemed to go by very fast. Time flies when you are having fun, as they say! Of course the “fun” is on the credit side; on the debit side, one’s memory gets a little vague with passage of time, but I hope I’ve still got most of the facts right (or most of the marbles still in place). Here is a short breakdown of these 32 years. From 1966 to 1974, I was with three companies – RCA Space Center, Comsat Labs, and Operations Research, Inc. (ORI). I then “found my home” in NASA and remained there for 18 years, alternating between the Goddard Space Flight Center and NASA Headquarters for two terms at each location. On retiring from NASA in 1992, I joined Computer Sciences Corporation, expecting to work part-time for a couple of years – but ended up working full-time on space-related projects for six years, because it was a fun job and I learned some new things. I finally retired in 1998, at age 70. Since that final retirement, I have served as a Technical Advisor with the FCC and the State Department for a year each, under the IEEE-USA’s Government Fellows Program. I have also been active in other volunteer organizations: Washington Academy of Sciences, DC Council of Engineering and Architectural Societies, and a Retirees Association. I believe I am fully retired now, but may end up in some other volunteer position. Only time will tell. Most of my work on space projects was very enjoyable, since it required investigating new concepts to meet future needs. I was also lucky to have good team-mates and supportive bosses. However, since much of the technology was still in the formative stages, we had to be very careful in our predictions. This was especially true for NASA projects, which required prolonged analyses, followed by feasibility studies, proof-of-concept experiments, prototype development, and finally production and launch of the proposed spacecraft. The entire process was very similar to, say, that of a prospector for diamonds, who has to sift through mounds of ore till he finds a piece that may be a nugget. Then he has to polish the piece over and over, and examine it from various angles again and again, till he is satisfied that it is indeed the genuine article. Although the process was cumbersome, I rather liked it, because of what I had learned from my father. He was a lawyer (and later a judge), and he always stressed the need to examine all aspects of an issue, instead of focusing on just what appears to be important – because sometimes a seemingly minor issue can turn out to be very significant in making or breaking a case. I was reminded of this many years later, when a colleague reminisced about how his very expensive, state-of-the art equipment for space-borne use was almost destroyed during tests by a malfunctioning run-of-the-mill fuse! As noted in the opening paragraph, I will describe some of the projects in future postings. Here I move on to the two other topics mentioned there. I was born in 1928 in the Punjab Province of India, which became a part of Pakistan after independence in 1947. Our educational system had 10 years of elementary through high school, followed by four years of college. I was home-tutored for several years, but joined a public school in the sixth grade, because a friend convinced my father that a school is good for kids, by teaching them how to interact with others and learn social skills. After finishing high school in 1942 near the top of my class, I was accepted in the Government College in Lahore, which had been established in the mid-nineteenth century and was the most respected college in the province. I took courses in physics and chemistry and languages, and majored in mathematics, which was my favorite subject, graduating in 1946. As for the Hikers Club: one of our trips stands out. Over the Christmas holidays in 1945, our adventurous leader (a faculty member) decided to take us on a trip to the Himalayan foothills. After trekking for four or five days at altitudes of more than 12,000 feet, we approached a pass that would have taken us right up to the Tibetan border. However, it started to snow quite heavily, and the locals told us to quickly get back to safety at lower altitudes, otherwise we would be stuck there till April. So we took the “coward’s way out” (as President Nixon would have put it), and turned back on our heels. We did see a couple of bears along the way, though, so it was fun. Exposure to literature in the Translation Society helped me acquire writing skills, which came in handy when preparing our Project Reports or serving as the Associate Editor of a Technical Magazine many years later. Working as Stage Manager and Prompter in the Drama Club gave me organizational skills. It also taught me that it is OK to let others take the limelight so long as the team accomplishes its goals. Extra-curricular activities in general showed me how to be a part of volunteer groups and promote our common objectives. We had a smooth beginning n 1946, but there was a big turmoil in 1947, with mass migrations from Pakistan to India and the other way around. Several of our teachers left, but only a few came over from India, so the College had to accept some practicing engineers as Instructors on temporary loan from their agencies. In 1949, the College accepted five new top graduates as Instructors, and I was one of them. Thus, I became a Faculty Member at the ripe old age of 21! Well, that is it for now. In future postings, I will describe some of the satcom projects that I worked on over the years. In the mean time, I look forward to your comments, and to hearing from others who are willing to share their experiences with us. This page was last edited on 25 March 2019, at 18:03.